Updated Monday March 18, 2019 by Kitchener Sports Association. PHOTO: It’s hard to fathom how such a big smile and larger-than-life personality comes in such a diminutive frame, but such is the case when it comes to Joseph Garreffa. A fan favourite for his flashy, dynamic play --- Rangers' Most Poplar Player for 2018/19 --- he’s also admired and respected for the time he spends off the ice. For the past two seasons, he was always one of the first to volunteer for events in the community such as the Food Sort Challenge at the Food Bank of Waterloo Region, visits to K-W Habilitation, and multiple stops on the RBC School Tour. For more on the Rangers awards from each season, visit the Rangers website. 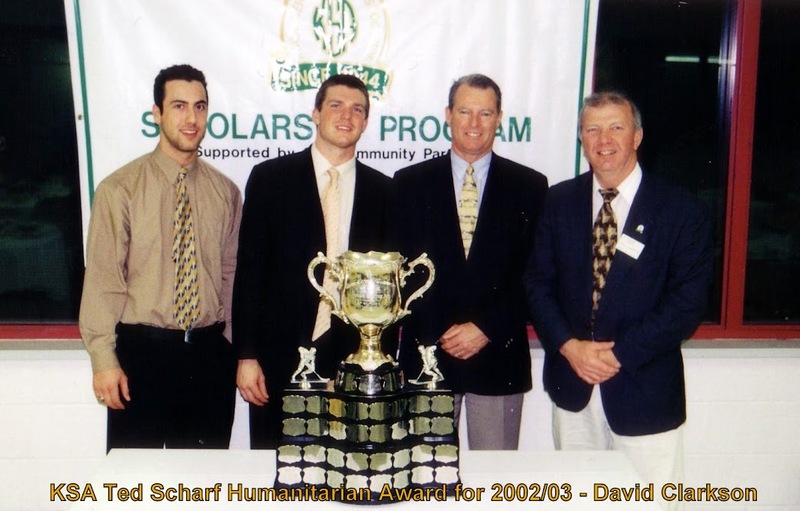 The Ted Scharf Humanitarian Award, first presented in 2003, is sponsored by the Kitchener Sports Association and follows the KSA motto of “TRUE SPORTSMEN MAKE GOOD CITIZENS”. This award is in recognition of the Rangers player who contributed most to our community during the regular season. The award is named after alumnus and former Rangers President Ted Scharf, a leader himself in community efforts and involvement. The recipient of this award is announced at the end of each season along with all the other Rangers' individual trophies. The 3rd player in franchise history to be recognized with back-to-back Humanitarian Awards. A fan favourite for his flashy, dynamic play, he’s also admired for the time he gives to the community. Joe never leaves the dressing room without a sharpie in hand and a smile on his face ready to make the day of any Rangers fans he meets. 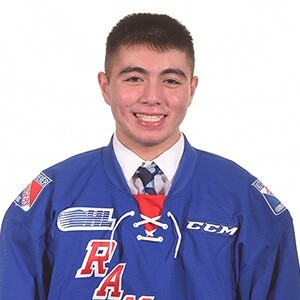 Never turning down an appearance when asked, Joseph was also one of the first to volunteer for any Rangers event in the community such as at the Food Bank, visits to Family and Children’s Services, CMHA and multiple visits on the Kitchener Rangers School Tour. For more on the Rangers year-end awards and players information, visit the Rangers' website.